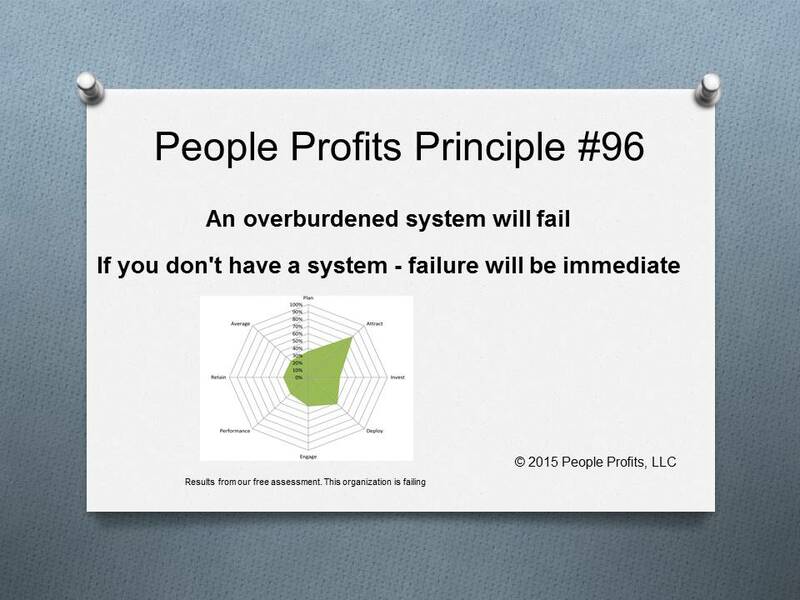 Do your systems fail when you need them the most? Do you discover you have no strategies, systems and processes when a crisis hits? Do you discover your people are "doing what needs to be done today to make it happen"? There are no plans for what we do when a disaster happens or when additional burdens are put on your people? Many organizations do not have comprehensive, well thought out, documented strategies, systems, processes and contingent plans. They are quickly overwhelmed when they need to ramp up results or make up for some unforeseen event. HR in particular has a huge problem with this issue as most HR people are not hard wired for strategies, systems and processes. They are hard wired for compliance and relationships - they need help in building the strategies, systems, processes and plans necessary to carry through a crisis.